In fact, all roses are technically edible. That said, you may not want to eat them all. 1. Do NOT eat roses from stores. Unless they are certified organic, but I have never seen this offered where I live. 2. Eat roses from wild places, from your organic garden, or from friends' gardens where there is no history of chemical sprays or fertilizers. 3. Eat roses that smell good. Smells good= tastes good. Most roses nowadays are bred for looks and not scent. 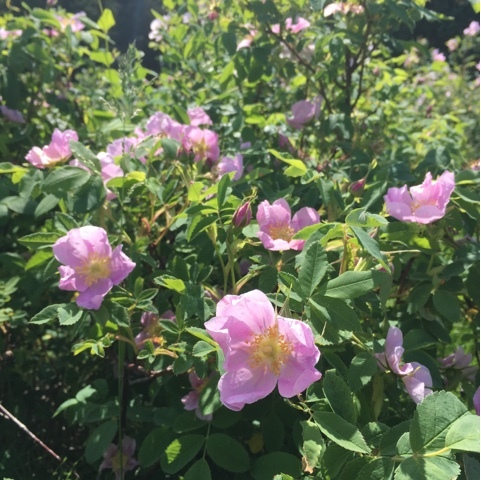 Wild roses generally have stronger scents. 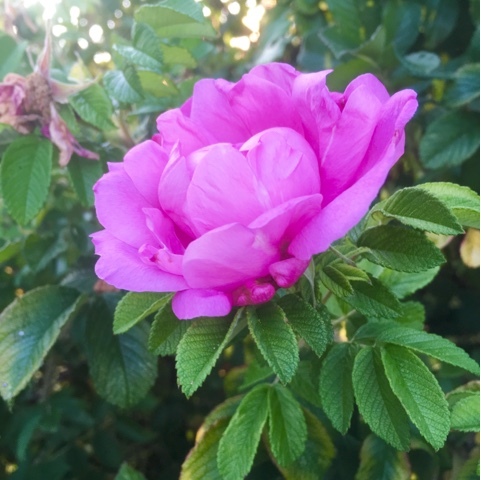 If you want to buy a rose bush, inhale deeply and go for a heritage flower with a strong scent. 1. They are great fresh, chopped finely on salads, sprinkled on ice cream, stirred into a premade berry jam, or stirred into yogurt. Anything really. 2. 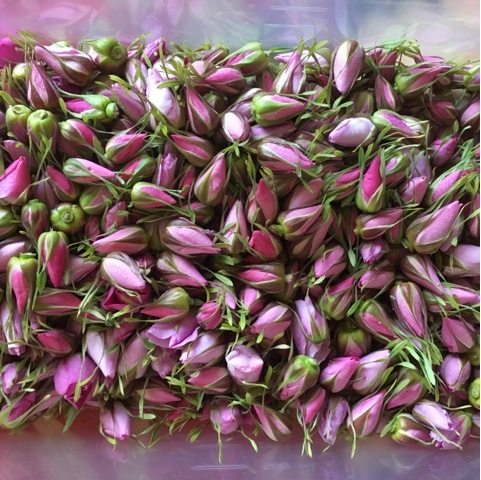 Dried, they can be used in baked goods like shortbread, used as confetti on cakes and cookies, a small amount whirled with sugar for a floral sugar for tea or for topping sugar cookies or scones. They can also be crumbled into tea or herbal infusions. 3. Make a syrup to dilute with fizzy water for a rose soda, drizzle on cakes, pancakes or stirred into iced black tea. Bring water and rose petals to a boil. Reduce heat and let steep for at least 1/2 hour or overnight. Strain, pressing out all moisture possible. Warm infusion and add sugar. Stir until dissolved. 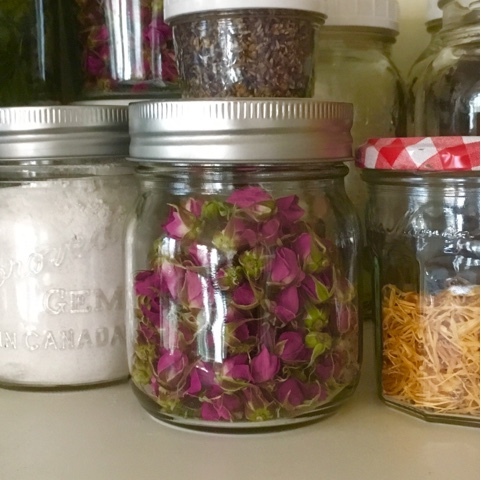 Bottle and refrigerate for up to 1-2 weeks, freeze for longer use (it will lose some potency, but not all). 4. They make a great tea! 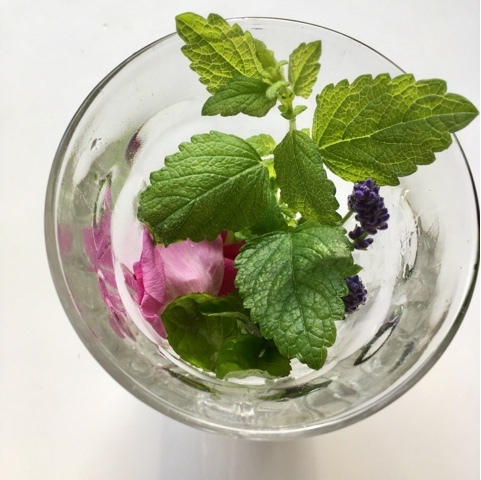 Just crumble dried or fresh rose petals into a cup or pot and add a tiny bit of grated ginger or a few herbs from the garden (mint, lemon balm, lavender are all nice). Steep for a few minutes, strain and add a touch of honey if desired.